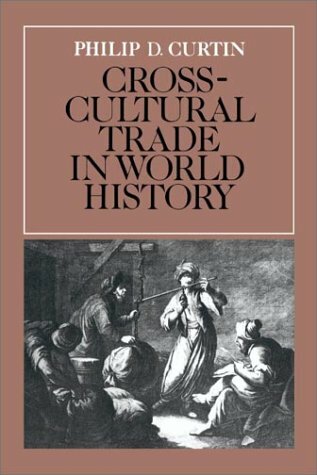 world, the Mediterranean trade with China, the Asian trade in the east, and European entry into the trade with maritime Asia, the Armenian trade carriers of the seventeenth century, and the North American fur trade. Wide-ranging in its concern and the fruit of exhaustive research, the book is nevertheless written so as to be accessible and stimulating to the specialist and the student alike. senior fellow of the National Endowment for the Humanities, Curtin has taken a leadership role in various organizations, including the African Studies Association, the International Congress of Africanists, and the American Historical Association. He also has gained recognition for his influential books on African history, including The Image of Africa (1964), Africa Remembered (1967), and The Atlantic Slave Trade: A Census (1969). In the latter, he demonstrated that the number of Africans who reached the New World during the centuries of the trans-Atlantic slave trade had been highly exaggerated. Hastings (1788). Edmund Burke died in 1797.